Saltillo pavers need to be stripped or cleaned by hand ? Do Saltillo Pavers really need to be stripped or cleaned by hand? Saltillo Pavers must be cleaned or stripped by hand only! This includes all types of Mexican pavers; Saltillos, Tecate Pavers, French Terracotta, Concrete Pavers, Spanish Pavers, and all other soft terracotta tile. The Saltillo tiles by it’s nature is an extremely soft tile. Any type of scrubber other than a soft nylon bristle brush will scratch, scuff or in the worst case grind down the paver. The Mexican Paver forms a crust during the firing process. This crust is the smoothest and least absorbent part of the tile. 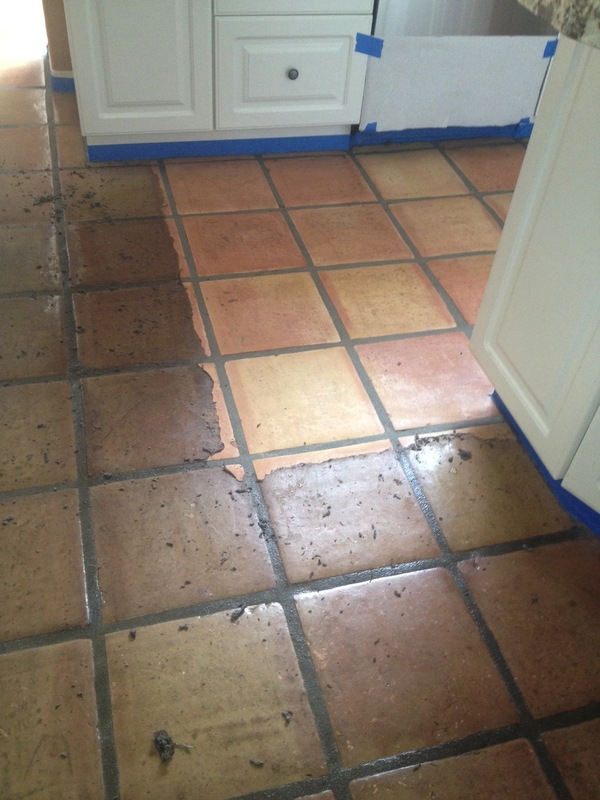 It is absolutely imperative that this crust not be removed during cleaning or stripping of the tile. 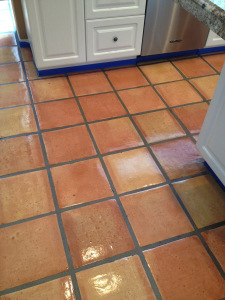 Any area of the tile with the crust removed will be dull even after the shiny sealer has been applied. Furthermore that dulled out area will be subject to staining due to the loss of crust. A good rule of thumb is to never allow any type of scrub machine or steam cleaner to be used on your Mexican Pavers either for cleaning or stripping at any time. If you have any questions about your Saltillo Pavers or any other type of soft pavers please give Seal Systems a call or inquire by email.